It’s hard to decide what makes the Forest Beach Migratory Preserve such a special place. My friend Tom Schaefer says it’s because you never know what you might see next, and he should know. He has helped log a number of firsts, including a Plegadis ibis and an American Golden-Plover. Four years ago, the preserve was an 18-hole semi-private golf course — hardly the kind of pristine habitat conservationists seek to preserve. A local land trust’s audacious concept of building a sanctuary from scratch took off with government and private assistance, and now wetlands and native plant communities are being restored. Carl Schwartz is the coordinator of Bird City Wisconsin, an urban bird-conservation initiative, and the president of the Wisconsin Society for Ornithology. Forest Beach Migratory Preserve is a former golf course that features prairies, woodlands, and other habitats. From Milwaukee, take I-43 north to exit 100 and continue northeast on Hwy. LL. Drive 3.7 miles to Hwy. P and turn right. Go 1.25 miles until the road curves left and becomes Country Club Rd. Park at the old clubhouse on the right. Five-acre hardwood forest, seasonal ponds, open grassland, prairie, partially wooded ravine, and beach. Formerly a golf course, so it’s walkable. Cart paths converted to trails that are abutted and bisected by paved and gravel roads; birding by car is possible. Portions of property are wheelchair-accessible. 232 species. Long-tailed Duck, Common and Red-throated Loons, Horned Grebe, 23 duck species, all three scoters, Caspian, Common, and Forster’s Terns, American Bittern, Great Egret, American White Pelican, Virginia Rail, Golden- and Ruby-crowned Kinglets, mixed flocks of warblers, thrushes, and flycatchers in spring and fall, Upland Sandpiper, Willet, Hudsonian Godwit, Wilson’s Phalarope, and Whimbrel. Hawk watch has turned up 12 raptor species, including Golden Eagle, Northern Goshawk, Peregrine Falcon, Merlin, and Northern Harrier. 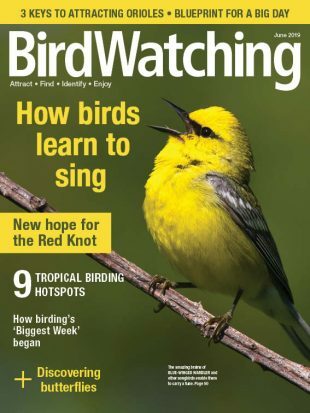 Rarities: Northern Mockingbird, Western Meadowlark, and Connecticut, Mourning, and Kentucky Warblers. Year-round. Best from April to May and September to October for passerines, mid-September to early November for migrating hawks. Several viewing platforms and blinds, 3.5-mile trail system, kiosk with map at clubhouse parking lot. 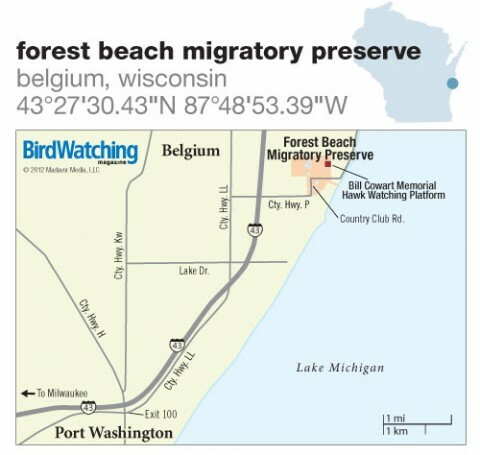 The Western Great Lakes Bird and Bat Observatory is headquartered in the old clubhouse. Ozaukee Washington Land Trust preserve. No fees. No public transportation, but Ozaukee Shared-Ride Taxi Service is available. Bring your scope. Be prepared to walk through high grass, which often can be wet. Wear layers. Three miles north of preserve; follow Lake Church Rd. north to Hwy. D and go east to park entrance. Largest bird list of any state park in Wisconsin. 511 High Bluff Dr., Grafton. 79 acres of undeveloped Lake Michigan shoreline adjacent to a 44-acre wetland complex. 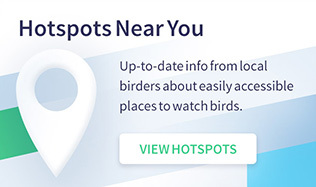 Great spot for spring and fall songbird and hawk migrations, plus vagrants.